When a client invites you out to build their pool, you're honored. When a client invites you back out to renovate it years later, you're humbled. When you're invited out to renovate it a second time, it confirms that you are without a doubt a trusted professional… and that you're probably doing something right. Throughout it's many iterations, this pool and it's surrounding yard have always remained Modern in style. The latest revision removed a shallow basin full of stepper pads and sculptures to provide more space for decking and some additional usable yard. When a client invites you out to build their pool, you're honored. When a client invites you back out to renovate it years later, you're humbled. When you're invited out to renovate it a second time, it confirms that you are without a doubt a trusted professional… and that you're probably doing something right. 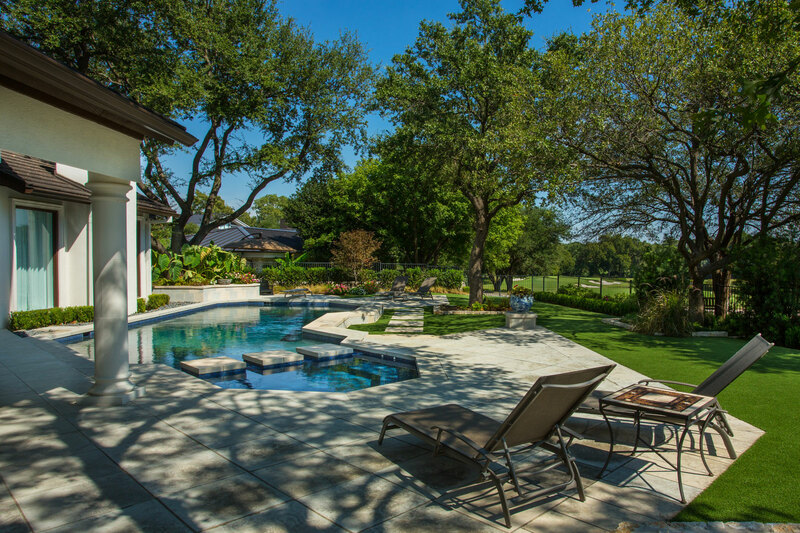 Throughout it's many iterations, this pool and it's surrounding yard have always remained Modern in style. The latest revision removed a shallow basin full of stepper pads and sculptures to provide more space for decking and some additional usable yard.